One of my favorite recipes in my cookbook Duck, Duck, Goose: The Ultimate Guide to Cooking Waterfowl, Both Farmed and Wild is a Thai green curry duck. This is an alternate version, one that’s every bit as popular in Thailand. I consider myself a pretty good cook, but whenever I venture outside the Western tradition I try to seek out people who know more about the food than I do. In this case, my friend Jax Phongsavath’s mom. Jax is as American as I am, but her mom is from Thailand. Nervously, I ran my green curry past her. I was overjoyed to get the “Thai Mom Seal of Approval” for that recipe. Only thing Jax said to me was that her mom usually made Thai red curry with duck. So here it is: Red curry duck with a Thai mom’s seal of approval. Hope you like it! Serve this with white steamed rice and a crisp beer, or an off-dry white wine such as a Gewurztraminer. 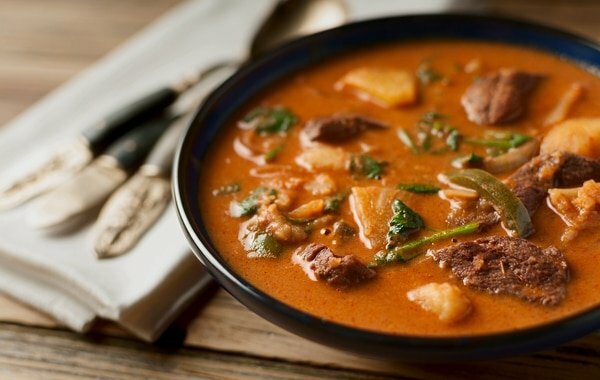 Once you make this recipe, you can reheat it as leftovers for a few days. If you’re looking for something Asian, but a little different to make with your duck legs, try my Sriracha Honey Lime Duck Legs instead. 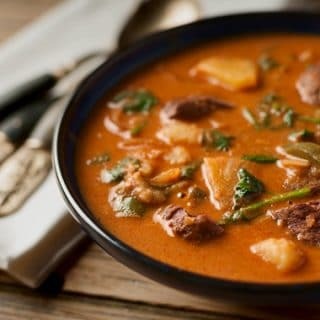 You can make this dish with any wild or domestic duck or goose, and you can use either skin-on or skinless breast meat. I used skinless breast meat here. If you want to use skin-on, sear the skin side of the duck breast until it's crispy and set aside; don't cook the meat side. Follow the recipe as written from there. Most of the ingredients here are available at any major supermarket, and those that might be hard to find I've listed as optional. But each one adds to the authentic Thai flavor, so try to get them if you can. The curry paste is the most vital: If you can't find it in your market, you can buy red curry paste online. Heat the peanut oil in a wok or a heavy saute pan over high heat. The moment it smokes, add the lemongrass, ginger and garlic and stir-fry for 1 minute. Add the onion and chiles stir-fry another minute or two, then mix in the curry paste. Stir-fry the curry paste until it begins to separate a little, about 2 minutes. Pour in the coconut milk and stir well to combine. Fill up the coconut milk can with water and pour that in, too. Add the fish sauce and the potatoes and simmer, covered, until the potatoes are almost tender, about 15 to 20 minutes. When the potatoes are just about tender, add the pineapple chunks and the sugar. Add salt or more fish sauce to taste. Cook the pineapple for a minute or two before adding in the sliced duck breast. The duck breast will release some juice in a minute or two. When it does, stir the curry well and add the cilantro and lime juice to taste. Turn off the heat and serve immediately over white rice. 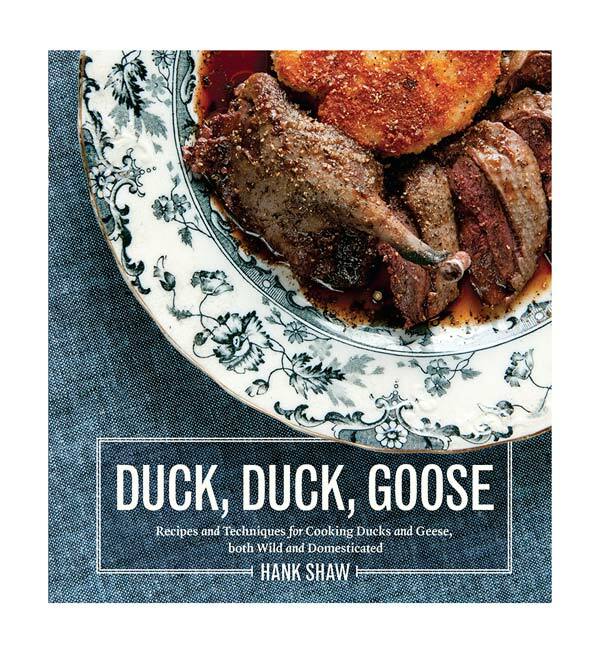 You can find recipes for every kind of duck and goose, wild or farmed, right here on Hunter Angler Gardener Cook! I’m drooling while reading this. I have my ingredient list ready for the store. I’ll be trying it with goose. One question I had…how are leftovers? I’ll be eating this batch solo while the family is out of town, so I want to be able to reheat in a pot over the next few days. One thing about goose curry, the leftovers are ever better than the dinner. 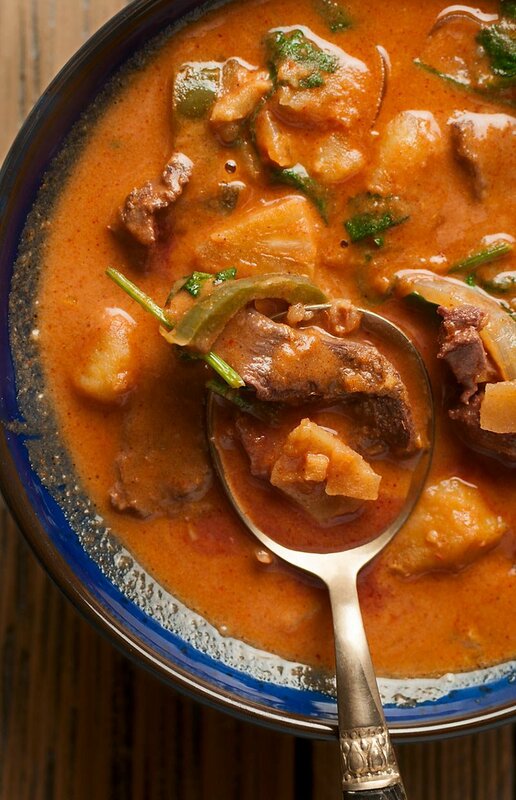 On an annual fall trip to the Canadian prairies, provisions for goose curry is a must. I think everyone enjoys it more when we come in after the morning afield and reheat it for lunch. There are never any leftovers left over. 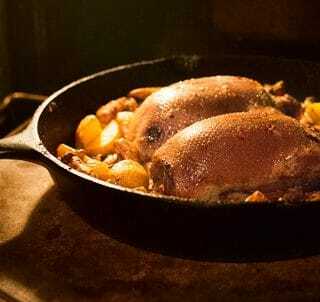 Is the duck supposed to be cooked through when done? I’m not seeing the juices like the recipe says. Other than that – this is so delicious. I just made this recipe the other night. It was extremely satisfying; it was at least as good as I would expect to eat in a restaurant, which always makes trying something new worth chancing. The recipe was easy, and the ingredients were not obscure or onerous to gather. Your recipes are consistently high-caliber. Another homerun, Hank. Thanks!